Popular "almond milk cocoa" new appearance! 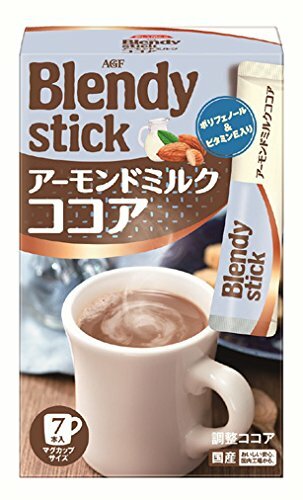 "Blendy stick (Blendy Stick) almond milk cocoa" from AGF Blendy stick (Blendy Stick) series is a milk cocoa stick type where you can enjoy a lot in the mug cup size. Use the topic of almond milk powder. Vitamin E containing cocoa polyphenols and almond milk which is excellent in anti-oxidation action! One by one cup if they have one and hot water stick, at any time opened freshly fresh aroma and authentic flavor you can enjoy. Please enjoy the milk cocoa savory taste of almond milk. If you have any questions about this product by Blendy (Blending), contact us by completing and submitting the form below. If you are looking for a specif part number, please include it with your message.